A glass of chocolate milk is ideal after different types of strength training. 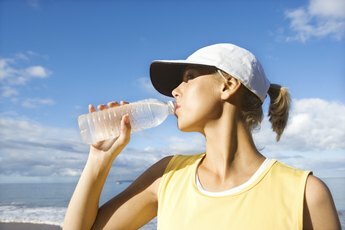 It's common to feel excessive thirst after exercising, even if you've sipped your water bottle throughout the workout. Before reaching for the first drink you can find when you leave the gym, ensure that it will help in your postexercise recovery. Depending on the type of workout you've just endured, the recovery drink should include one or more proteins, carbohydrates, antioxidants and electrolytes. 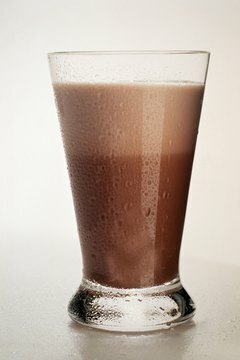 Although you might see it as a rich, sugary snack, chocolate milk has benefits if you consume it after a workout, according a University of Texas at Austin study. The beverage is rich in protein, and when combined with a carbohydrate such as sugar, the protein becomes easier for your body to digest. Stick to the low-fat variety of chocolate milk, and drink a glass or small carton of it as soon as you've finished a workout such as weight lifting. The sidelines of professional sports are stacked with coolers of sports drinks, and with good reason. During a workout in which you've sweated profusely, your body risks dehydration, and sports drinks are an effective way to get some of that fluid back, reports "Men's Health." These drinks are also full of electrolytes and carbohydrates, which your body craves after such activities as jogging, cycling and many sports. "Men's Health" and "The Dr. Oz Show" report that many fruit juices, including cherry, pomegranate and acai berry, are rich in the antioxidants that your body craves after lengthy events such as running a marathon. 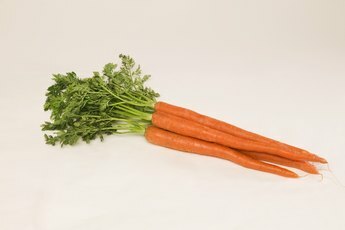 The consumption of antioxidants is closely linked to reduced inflammation in your body. 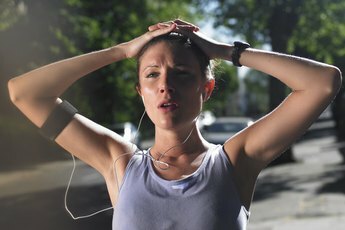 After a marathon, your muscles will be extremely sore and inflamed. Drink a glass of antioxidant-rich juice, such as cherry, immediately after the workout. 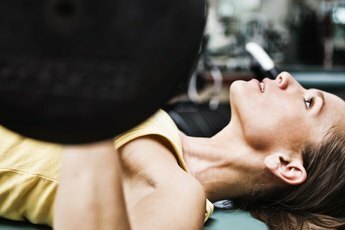 Consuming a protein-rich meal after your strength-building workout helps fuel your muscles, but it's not always convenient to sit down to a plate of chicken or fish soon after you leave the gym. Protein-rich drinks, which come in powders to mix with water and in bottles ready to consume, give your body the protein it needs and also contain potassium, sodium and several vitamins and minerals important for recovery, according to Breaking Muscle and Bodybuilding.com. Southern Pacific Masters Swimming: Why Bother With Recovery Drinks?